We’ve heard time and again that Kiwis are similar to Canadians and that Australians are more similar to Americans. To be fair, this is a comparison told to us by Canadians we know who have visited both countries. Although researching this fact wasn’t the purpose of our trip to New Zealand, it was certainly something that we were interested in finding out for ourselves — that, and to take in the beauty of a small island nation. Of our three weeks away from Bangkok, we allocated one week for Australia and almost two for New Zealand. In planning the New Zealand segment of our trip, we discovered the layout of the country lends itself well for a driving holiday. Renting a camper or caravan and stopping in campgrounds along the way was one option. However, we chose to rent a car and stay at hotels and AirBnBs along the way. In our early planning it became clear that two weeks wasn’t going to be enough to see New Zealand’s North and South islands. Having to choose between the two, we decided the North Island would be our destination this time ’round. 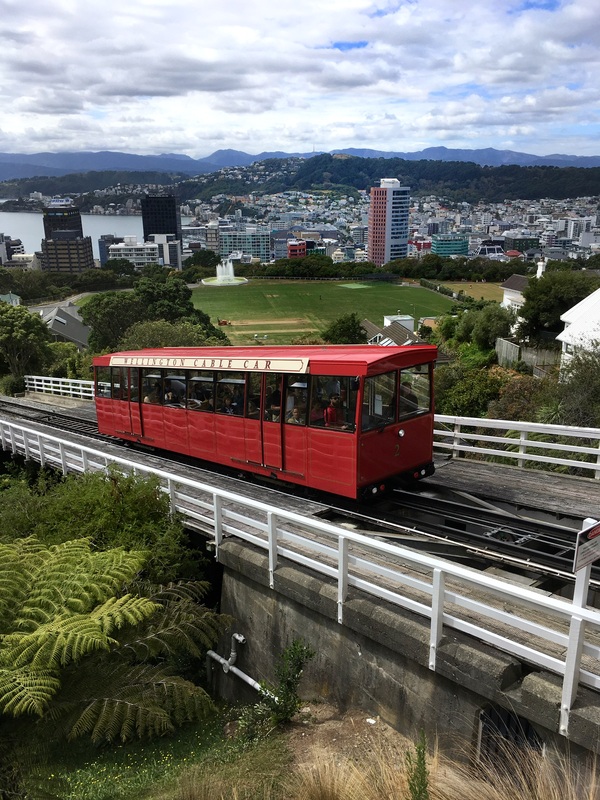 We arranged to fly from Sydney to Wellington, which is at the south tip of the North Island, rent a car, then drive our way up island, finishing in Auckland — staying a few nights in a couple of smaller cities along the way. After landing in Wellington we were excited to get on with getting to know the “Canadian-like” people of the Southern Hemisphere. 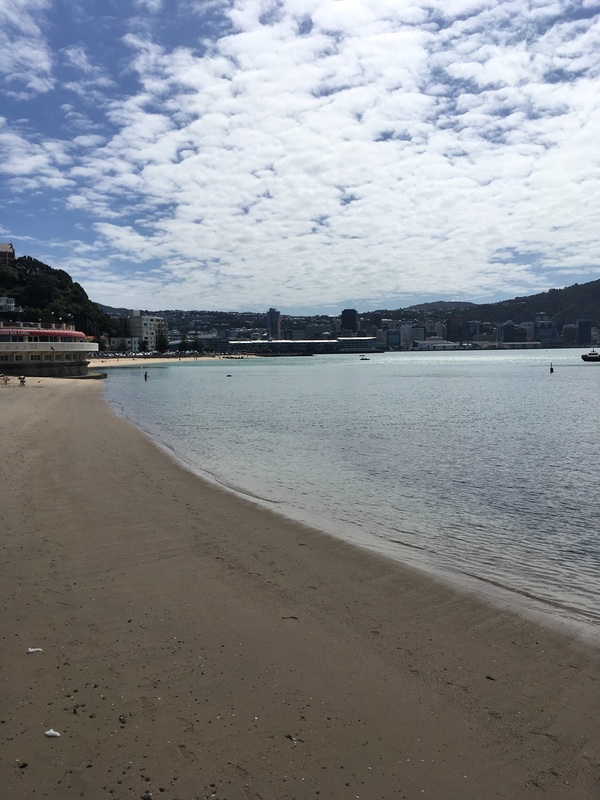 We discovered right away that Wellington is a very walkable city so we decided to postpone picking up our rental car until our last day in the city. Our hotel was on Cuba Street in an older, historic building. It was an actual hotel and not at all like the converted seniors’ lodge in Sydney. As it turns out the complimentary breakfasts was meager and didn’t come close to the ones we had in Sydney. When we arrived at the airport, I bought a SIM card with a NZ number and a data plan. 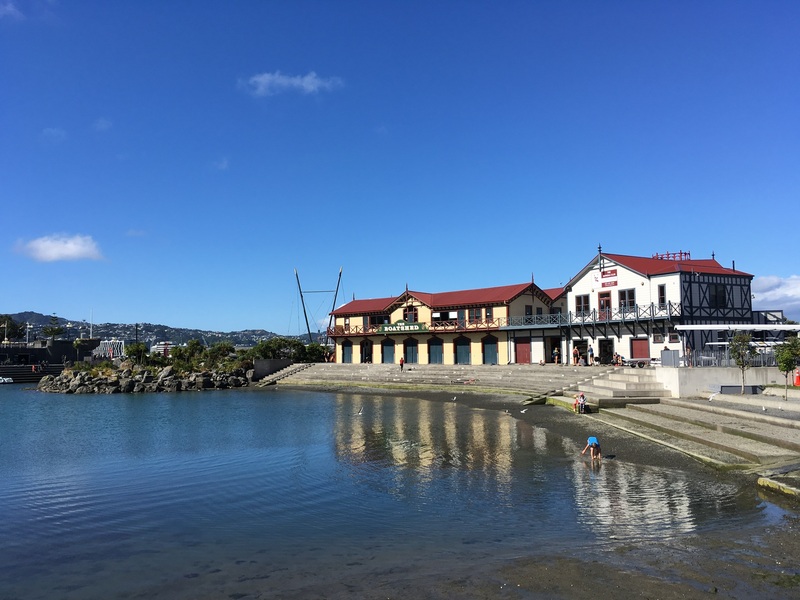 I also downloaded an app called “City Walks – Wellington”. It was a great resource to plan the places we wanted to visit around the city. It’s as simple as picking from the list of locations in the app and then it plans out the route and guides you to each one with the shortest amount of walking required. When you arrive at the point of interest, the app provides details for that site. We used something similar in Berlin during our trip there in September. This travel resource was a big timesaver and gives us a good sense about the history and significance of each place. Wellington has a reputation of being a windy city. 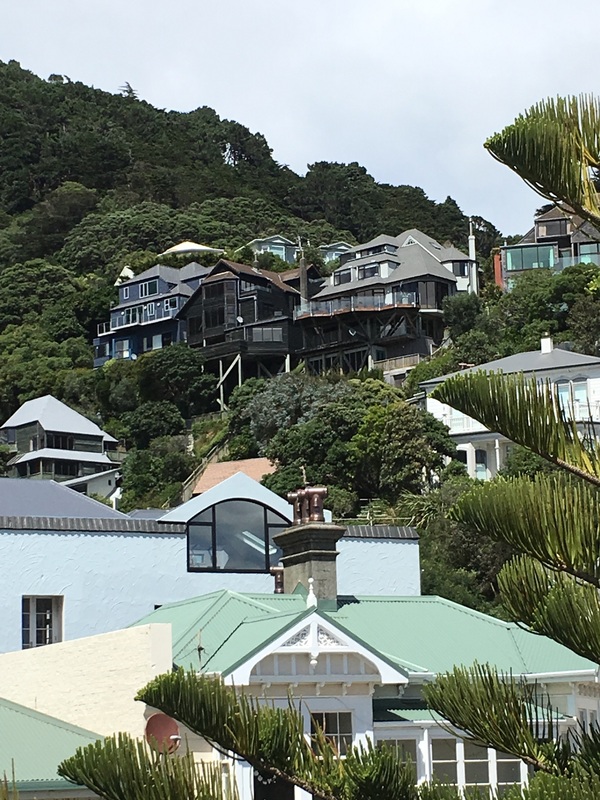 We learned that Wellington has roughly 175 days in a year where the wind gusts to 75 km/hour — locals call it Windy Wellington. Thankfully for us there wasn’t anything more than a typical coastal breeze while we were there. However, checking the forecast in the days leading up to our visit, we were expecting long periods of rain. On our first morning it was overcast but dry so we seized the moment and fired up our self-guided walking tour itinerary and set off for a day of exploring. With perpetual rain in the forecast we wanted to see as much as we could before we needed to haul around umbrellas. 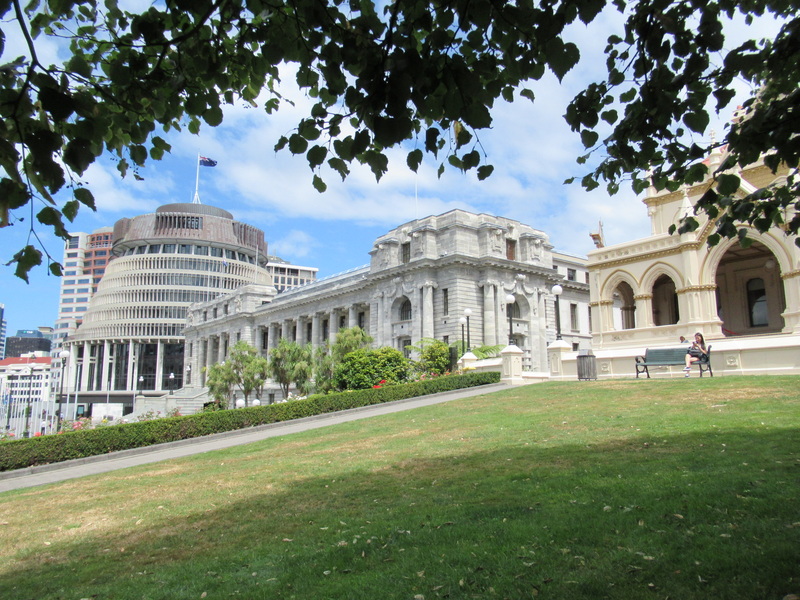 The first day we logged 15 km cruising around and learned about The Beehive (NZ parliament), the cable car museum and botanical gardens, the harbour front and a few beaches. It’s worth noting that Wellington isn’t flat like Bangkok. The hills around the city provide sweeping views of the urban centre and harbour for the hundreds of houses that dot the hillsides. The side streets looked much like San Francisco with houses stacked and nestled among the crazy-steep roads and alleys. And similar to San Fran, the ground is known to shift in these parts. Many of the older buildings we walked by were in the process of being repaired from previous earthquakes and/or reinforced for the next. Having experienced a 7.6 shaker years ago during a vacation in Mexico, we are always a bit leery when is comes to being in or near old buildings in an earthquake-prone region. I figure the best place to be during an earthquake is in a steel-fortified structure and we found just the place: Te Papa — the national museum. Visiting Te Papa is a MUST for anyone visiting Wellington. Besides being architecturally stunning, the exhibits are enormous and curated magnificently for the various spaces within. The exhibit on New Zealand’s participation in Gallipoli was both breathtaking and heartbreaking. Day two we awoke to overcast skies that gave way to sun. The forecast still called for rain all day. I’m encouraged to see that they are no better at forecasting weather in New Zealand as they are in Canada – or Calgary specifically. Grateful as we were for the lack of rain, it really screwed with planning our daily adventures. 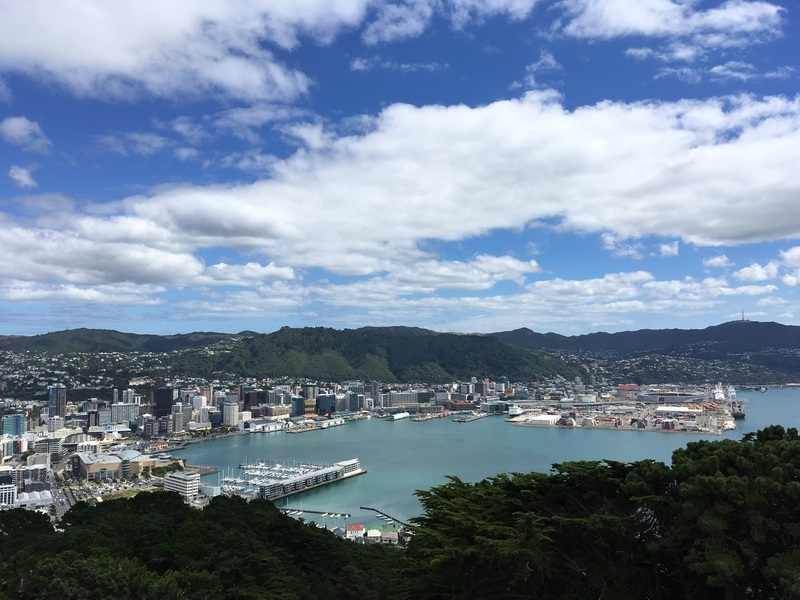 With both sunscreen and an umbrella in tow, we set off to hike up Mount Victoria for a panoramic view of the city. It was great to get into the wooded pathways and make our way to the top. It was a noisy climb and not just from my screaming glutes during the steep ascent. It turns out the loud, electric-sounding buzz that permeated the woods was coming from the insect world: zillions of cicadas. In North America, it seems they “sing” in harmony with crickets at dusk and into the early evening. In New Zealand, perhaps because it’s below the equator, cicadas only seem to play their song during the day, in greater numbers at an ear-piercing decibel. When not traipsing through the woods in search of a spectacular view, the city was easy to navigate on foot. The sidewalks are wide and not overtaken by street vendors or cafe seating. All along the main waterfront there were gathering places for people. Every so often we’d pass a small grassy park with benches centred around a playground or public art installation. When our feet needed a rest, we’d mosey up to one of the many cafes. The majority offered outdoor tables or grassy areas that provided a welcome place to relax. At some there were even beanbag chairs and blankets for visitors to lounge on and hats and sunscreen to protect from the sun. 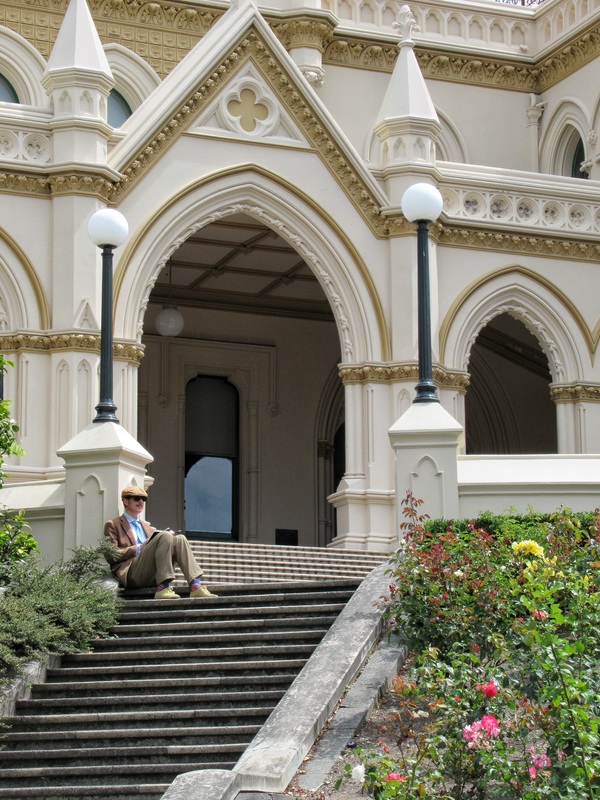 Overall, we found Wellington to be a charming, small city. The locals were friendly but not overly so. 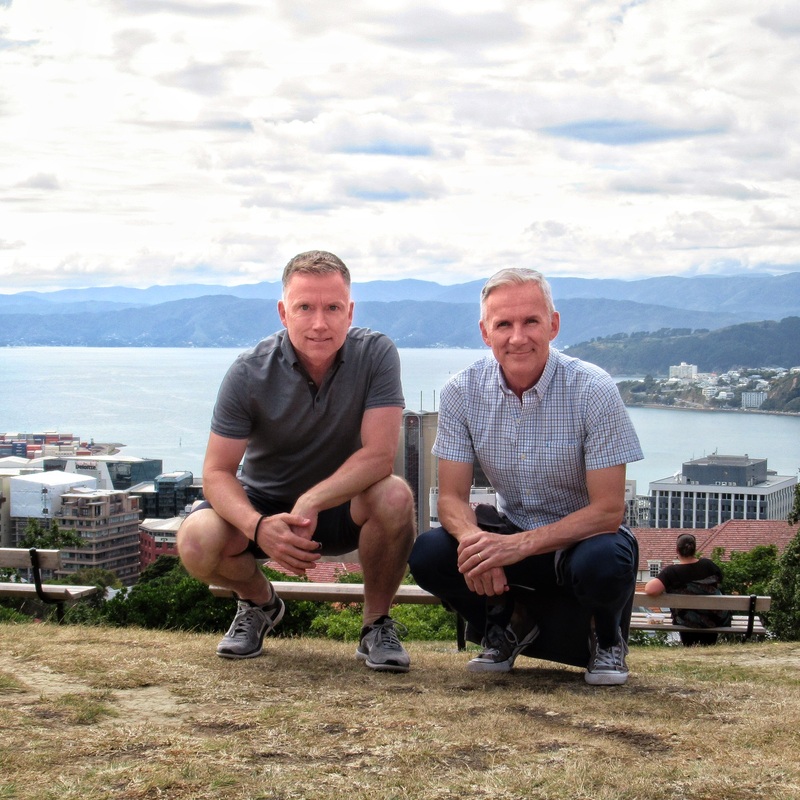 Our initial impression was that the New Zealanders in Wellington we encountered, particularly in the service industry, are much more reserved than how we view ourselves and other Canadians. But this is just one city in the country. Our quest to find similarities between Canadians and New Zealanders will continue as we head up island. Thanks Kath. I really like how you describe the similarities and differences. Great insights from someone in-the-know. You must be counting down the days before you return. Thanks. Yes just two more sleeps and I’ve so much to do. Lol!